The winter dance is just around the corner on January 26. But what if you don’t have a dress yet? Don’t panic–here are 8 cute, affordable dresses if you’re looking for a dress last minute. This dress is perfect if you want to keep things simple, yet still look elegant. You can find it on sale at Lulu’s for just $18. This retro dress would look absolutely adorable on anyone. You can buy it on Amazon for $18.99. This skater dress is perfect for dancing. Buy it from Lulu’s for $34.80. Looking for something a little unconventional? Ditch the dress and wear this jumpsuit instead. You can buy it at Charlotte Russe for $30. Want to stay warm in this January weather? This dress is cute and comfortable. You can buy it at Charlotte Russe for $25. This stylish dress is subtle, but will turn heads. Buy it on Amazon for $20. Stand out from all the other black dresses with this bow-adorned dress. You can buy it on sale on Asos for $18.50. This ruffled dress will have you looking absolutely elegant. 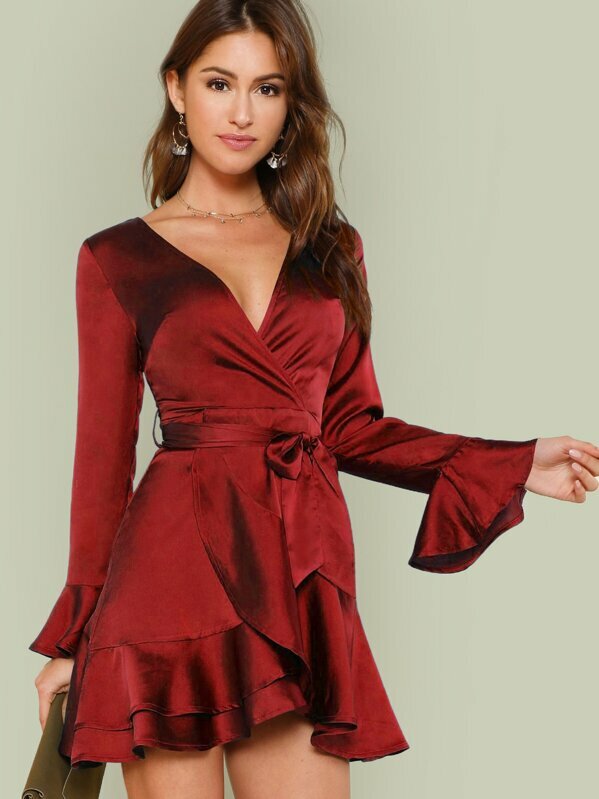 You can buy it on Shein for $20.